There are several ways for volunteers to support our organization. Whether it is for a few hours, a few days, or for the long-term, we appreciate your interest and involvement. Direct service volunteers have the opportunity to work first-hand with our domestic violence clients and their children in a number of vital roles. Volunteers are required to complete a 40-hour DV training, available at YWCA Evanston/North Shore several times each year. Children’s Program Volunteers typically work in teams and help facilitate children’s activities. Volunteers must follow the shelter guidelines regarding non-violence and facilitate non-competitive play that fosters effective problem solving and communication skills. Volunteers are needed to assist with homework, arts and crafts, recreation, music, discussion groups, and more. Time commitment: Program volunteer shifts are as follows: 9 a.m. – 10:30 a.m.; 5:45 p.m. – 7:15 pm Monday through Thursday with the most help needed on Monday and Wednesday nights. Children’s volunteers must commit to at least one 1.5 hour shift per week for a period of a year. Volunteers conduct “crisis intakes” for women who are seeking shelter or services and orient new residents once they arrive at the shelter. Time commitment: Shifts consist of three hour increments beginning at 9 a.m., i.e. 9-12, 12-3, and 3-6 p.m. Crisis Line volunteers must be able to commit to one 3 hour shift per week for a period of one year. Volunteers assist clients in obtaining Orders of Protection, help with paperwork and filings, and accompany clients to court. Time commitment: Shifts consist of a half day or full day, Monday – Friday. Volunteers must commit to at least one 3 hour shift per week for a period of one year. Volunteers assist the Prevention Education Coordinator in teaching a social skills and violence prevention program to elementary children at various grammar schools. They also assist the Prevention Education Coordinator in high schools teaching teen dating/violence prevention. Time commitment: To be determined with Coordinator. Volunteers must commit to at least one 3 hour shift per week for a period of one year. Volunteers are required to complete a 40-hour DV training, which is available at YWCA Evanston/North Shore several times each year. If you have completed training, please email Sandy T. Williams, Director, Domestic Violence Residential and Community Services, or call 847-864-8445 for volunteer opportunities in our Domestic Violence Services programs. Men’s Leadership Training helps men build the knowledge, skills, and confidence to discourage, prevent, or interrupt an incident or potential incident of gender harassment or violence, and creates opportunities for men to mentor young men into healthy masculinity and educate the community on how they can help end gender violence. Learn more here. Financial coaches work one-on-one with someone to help them reach their financial goals. The program, called The Advancement Project, combines financial education, financial coaching, and peer-learning to empower adults to accomplish a specific financial goal of their choosing. Our goal is assist participants in creating a positive financial habit that will lead to improved confidence about managing their money and the ability to plan for their financial future. Learn more here. To become a volunteer financial coach, register here for Volunteer Financial Coach Training or contact Women’s Leadership and Economic Empowerment Director Shannon Callahan at scallahan@ywca-ens.org or (847) 864-8445 for more information. 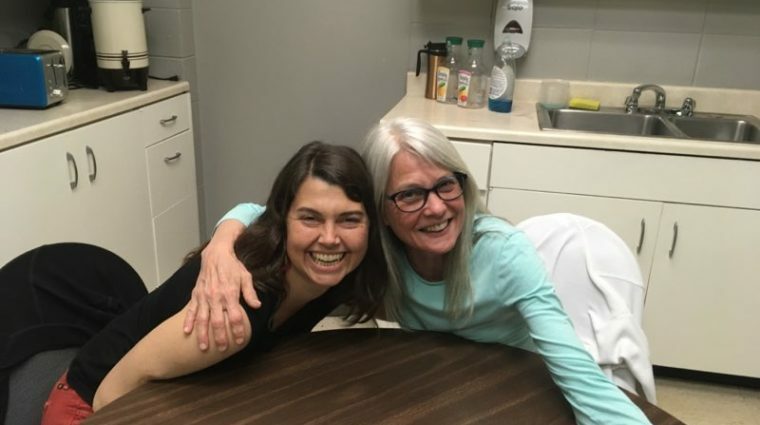 Organizations, clubs, community groups and individuals can adopt and maintain shelter rooms to ensure that every women and child feels a sense of home, safety and support at Mary Lou’s Place. The eleven rooms in our shelter are heavily used by women and children who are fleeing violence in their homes and are in need of emergency protection. Over the course of one year, the average shelter room houses twelve single women or single-mother families fleeing their abusers. In times of such crisis, it makes a real difference when women come into an environment that is warm, welcoming and adequately appointed. But maintaining rooms so that each individual can experience the same level of comfort and relief is difficult with so much consistent use. With this in mind, we ask community organizations to adopt shelter rooms and help make sure that every women and child feels a sense of home, safety and support at Mary Lou’s Place. maintain your room on a quarterly basis and make any necessary updates. Special plaques are installed on the door of the room that recognize your commitment, generosity and care. In addition, your participation in the Adopt-A-Room Program will be included in our newsletters and annual report. 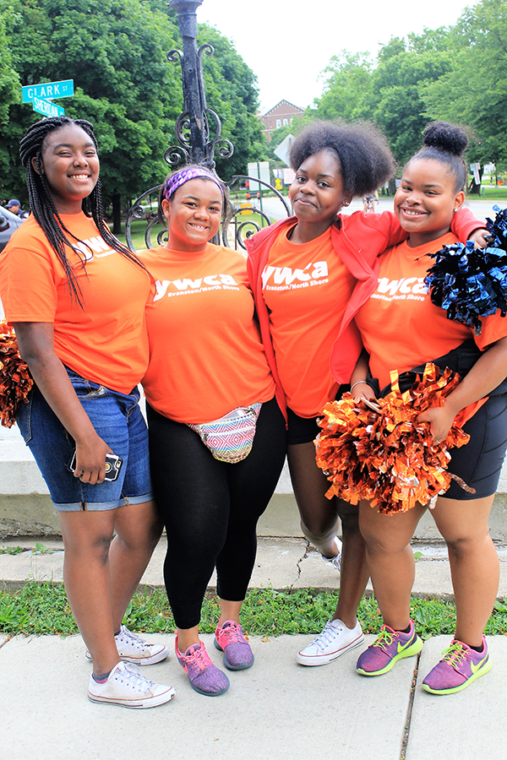 For more information on the Adopt-A-Room Program and how you can get involved, contact Trimmy Stamell at tstamell@ywca-ens.org or 847-864-8445, ext. 121. We love our volunteers! The largest demand is in the spring and early summer as we get ready for the Ricky Byrdsong Memorial Race Against Hate in June. If you are interested in volunteering for an event, please email Special Events Director Trimmy Stamell. 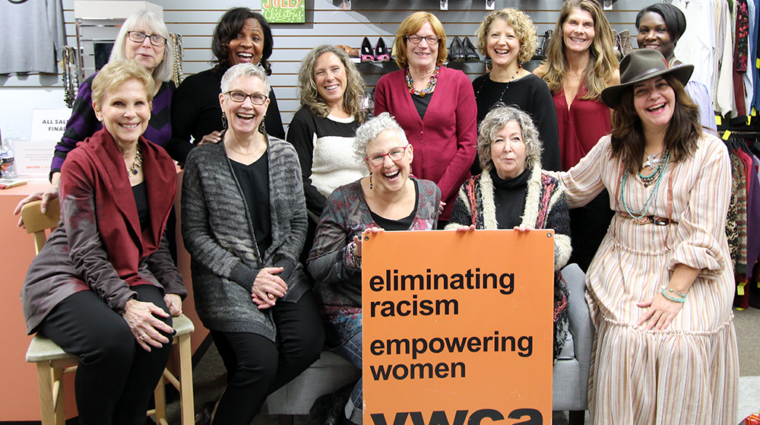 YWCA Shop for Good is a social enterprise for YWCA Evanston/North Shore, located at 1107 Central Avenue in Wilmette. The shop is made possible through donations of new and gently used women’s clothing, footwear, accessories, and jewelry. Proceeds support YWCA’s domestic violence and economic empowerment programs for women. We are always in need of donations of new and gently used women’s clothing, including high-end clothing, jewelry of every kind, women’s shoes, boots, and handbags. Donations are accepted during store hours. Deliver to the door at the rear parking lot off 11th St. Or, call for pickup at 847.853.8888. Volunteers help the paid staff, working on displays, unpacking donations, selling, or doing whatever is needed. Volunteers are needed both for special sales events or on a regular basis. Volunteer as it fits into your schedule! For more information about volunteering your services, contact Trimmy Stamell.